It was difficult to find the hotel entrance. Had to drive around a few times. My stay here made the end of the trip so easy! Loved their easy shuttle to the airport. Lovely authentic old Irish hotel. Very friendly staff! Our room was clean and well laid out. The bathroom was a good size. Two people fit comfortably in the room. Good position. Quiet. Frequent free shuttle to airport. Nice decor. This Hostel is within walking distance of most of the places of interest in Dublin. 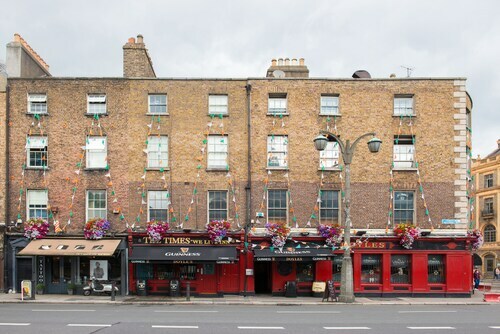 The hotel is conveniently located close to bus stops which allow you to tour the hop on hop off experience through Dublin as well as the Air link airport drop off (right in front of hotel). and I spent my time in the heart of Dublin eating out and walking around the city. Need to get here and get out quickly? A hotel near Dublin airport might be the perfect option for you. These affordable options blend convenient locations, first-class amenities, and competitive rates into a package that lures both vacationers and business travellers. 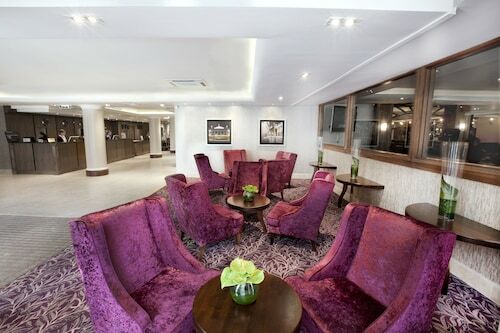 You’ll be in a fantastic location to unwind after an evening arrival or head out for a morning flight, and several Dublin airport hotels are closest to an array of transportation hubs. What are the most popular Dublin hotels?